There's something about this particular bird in Concord & 9th's Birdie Banners that cracks me up. What's up with this guy? I can't get enough of him (or her??). I purposely made the hat a little off center, because this bird looks like it can party! In any event, I wanted to make a card with just stamps, paper, and ink I think it works. 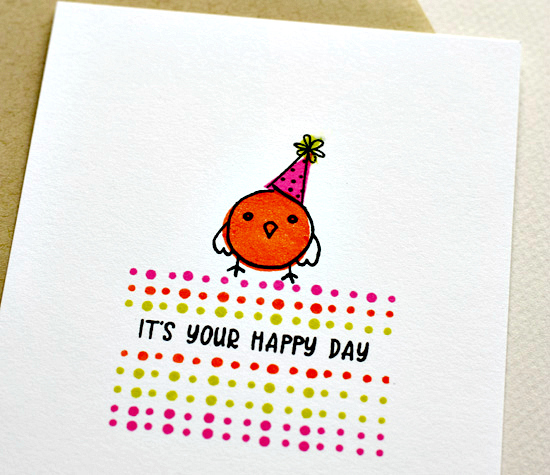 The bird and the hat have solid stamps that are slightly wonky and designed to color in those images. 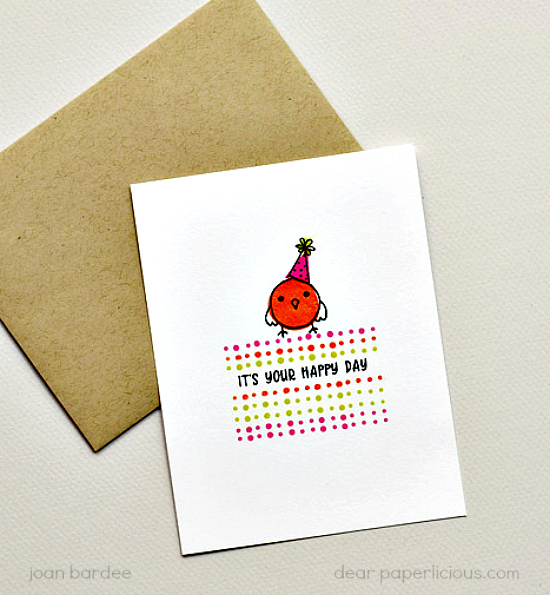 I masked off a spot for the dotted banners that are in the set, chose some bright inks, and now I have a cute birthday card that is easy to mail. I've really enjoyed my stint doing a little design work for Concord & 9th this month. Thanks to the owners, Angie and Greg! Adorable, Joan, that bird cracks me up too! Love how you masked off the dots and left a space for your sentiment, brilliant!